We start with tips and tricks on arranging flowers. We’ll talk colour and contrast along with how to build structure for your flower arrangements. This includes using our signature flower jars with specially designed flower arranging lids to create your own beautiful flower arrangement. 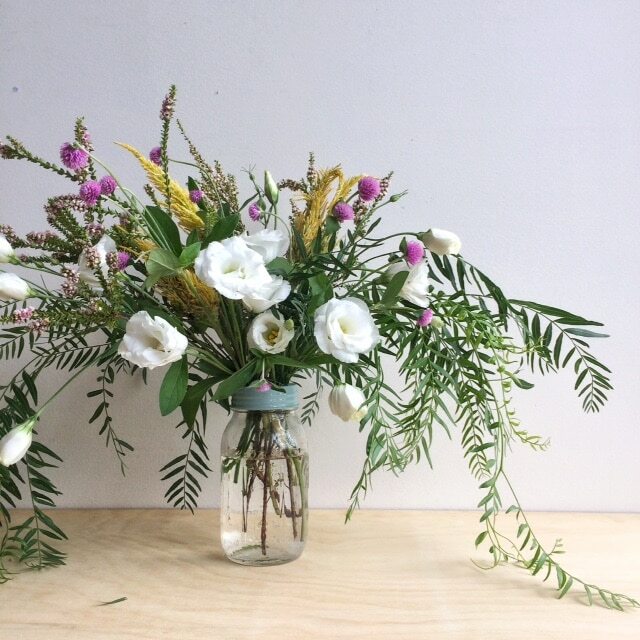 These flower jars are a great way to start flower arranging and build your confidence. Most importantly you’ll have fun, no note taking required. The workshop will start at 2pm (sharp) and is held at our Potts Point home studio. We are a 15 minute walk from Kings Cross station or there is off street parking in the area. All materials are provided including flowers and snips.